In this site you will find information about D’Tail products. We are here at your service. Thank you for your visit! D’Tail Products Baja is a mexican company dedicated to the manufacture of a complete line of products for cars, carwash, detailed, bodywork and paint workshop, car sales and rent, carriers, mechanical and industrial workshops, etc. D’Tail is a trademark. We are located in Ensenada, Baja California, México. 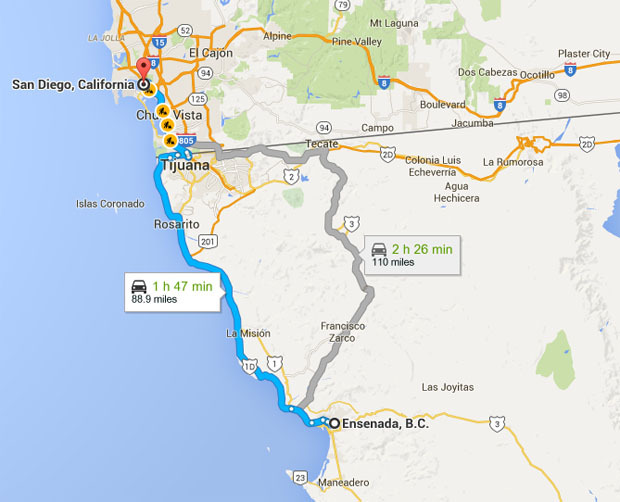 Ensenada’s port city is at roughly 89 miles from south of San Diego, California at the coast of Baja California, México. D’Tail Products Baja Company started in 1993. We manufacture our product line and sell to the public at factory prices: wholesale, semi-wholesale and retail. Because our proximity with United States, and their abundance in raw materials which are easily available, we are in condition to secure all our supply need of raw materials for all our production capacity. We have a wide range of accessories to use our products. • Water, solvent and acid based cleaners. • Carpet, bodywork and clothes shampoo, as well as dishes and hand soap. • Paste waxes for hand or machine application. • Teflon-based liquid wax in sray, and sealing wax in spray. • Compound polishers without wax for application with buffer. • Leather cream cleaners with protector. • Products of special design from a customer request. Car detailed and cleaning: a business with future. Car detailed and cleaning is a successful business today and for the future of our working field. The growing automobile industry brings a substantial opportunity for developing, not only in mechanical repairs and spare parts, but with detailed and cleaning too. The automobile industry needs to keep their units for sale as presentable as possible. It is the same with companies that are in car rental business. These two are the big sectors in the automobile market that will benefit from our products. At the same time, this is an opportunity to begin a great business with guaranteed future. Home, Hotels and Restaurant Cleaning. Our products are safe to use, non-toxic, and of high quality. They can be used for home cleaning and for public environments, like hotels and restaurants.